This shiny, cost-conscious phone comes with dual cameras and more trimmings than you'd expect. Cell phones have become the indispensable personal technology device of the 21st century, and it is increasingly difficult to think of a time when we did not have instant mobile telecommunications connectivity available in the convenience of a pocket-sized device. Cell phones are evolving to allow faster texting, Web surfing, GPS navigation, and social networking while keeping up with their day job - voice calling. There is an almost limitless selection of cell phone models on the market, but purchasing a cell phone is ultimately about choosing a service provider as well – finding the provider with the network technology that meets your individual needs is the key to making the right choice. CDMA – CDMA network coverage is very strong in the United States, especially in rural areas that are otherwise inaccessible to wireless communications, and thus are a popular choice for domestic consumers. Sprint, Verizon, MetroPCS and US Cellular are the major CDMA carriers. GSM – GSM network coverage is good in the United States, but much stronger throughout the world, and is a common choice for international consumers. GSM also has convenient SIM card technology, which makes it easier to swap and upgrade phones. AT&T and T-Mobile are the major GSM carriers. Rare exceptions do exist. Some GSM phones do not work overseas, while a few of the newer CDMA cell phones can accommodate GSM networks internationally. Confusing? A little bit, but if you do your homework and ask questions, you will find a cell phone and a service provider that works for you. Style: Flip phones and candy bar models are the most common, but slider phones are popular as well. Swivel phones are also available, but they are relatively few in number. 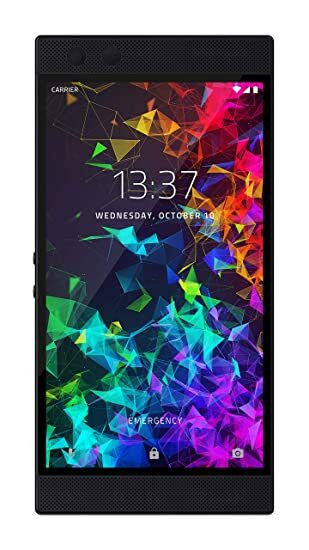 Standard cell phones, for people who use them mostly for simply making and receiving phone calls, come in a compact package at an excellent price – however, texting and advanced Internet connectivity are not optimized. Smart phones and keyboard devices are larger and heavier, but accommodate texting, emailing, and web-surfing much more comfortably. Features: As a general rule, you shouldn't buy anything more than you need. Beyond extras such as a keyboard or web-browsing software, consider what extras you would like. Most phones feature a still camera, but many others upgrade to take full motion video. Smart phones allow you to unify all multi-media functions – pictures, video, MP3s, games, and more. GPS with directional services is an increasingly popular feature. Verizon Wireless, Sprint, and AT&T offer their own GPS services while other handsets, like the iPhone, use Google Maps. Bluetooth: This feature lets you wirelessly connect via low-frequency radio waves with external devices, such as a headset for making calls. Some phones support stereo Bluetooth headsets for music and other multimedia. And some can wirelessly exchange pictures, contacts, and other files with other compatible Bluetooth devices, such as a computer, cell phone, or printer. 3G Network: Not all networks use the same frequencies for 3G coverage. If you want to use your phone's advanced connectivity features, you'll need a cell phone that works on your host country's 3G network. Maybe you're hearing a lot about 4G as wireless carriers begin upgrading their networks to fourth-generation wireless communications. Carriers say 4G will alleviate network congestion, and allow faster streaming, downloading, video chats, and uploading of HD videos and other large files. Anyway, phones that support the 3G networks are still fine for Web browsing, streaming videos or music, and downloading files. Battery Life: Large phones, especially smart phones with many features consume battery life quickly and require more frequent recharging. Simple handsets are more efficient and can be kept off the plug for much longer. At the very least, you'll want a cellular phone with more than three hours of continuous talk time and more than five days of standby time (three days for smart phones). Nokia, Motorola, Samsung, and Sony Ericsson are all familiar names, and each one is known for delivering good phones at competitive prices – each of these manufacturers has models at every level of performance and price. Blackberry and HTC are leaders in the smart phone market, and are popular choices for business travelers who need connectivity on the go. Apple is almost a category in itself with its extremely popular iPhone. The iPhone offers full smart phone performance: beyond making and receiving phone calls, you can play MP3s, surf the web, send emails, play games, and much more. There are also a host of iPhone applications that give you GPS-enabled directions, help you find restaurants and entertainment, and provide a number of 'lifestyle enhancements'.